Web browsers like Chrome and Mozilla are more than your average browsers as they accomplish much more than the basic browsers. These two browsers, especially Chrome is of great use to the software testers. The number of extension available for software testers on Chrome beats any other platform by a mile. These extensions are easy to install and help you accomplish more in the same timeframe. These extensions come in pretty handy for software testers as they make the job a tad bit easy. Chrome is by far the most popular browser mainly because it is highly functional, good user interface, and a wide array of extensions. All these features make it the browser of choice of the software testing community. Here is a list of the top chrome extensions for software testers. 1. SCREEN RULER: Screen ruler is an essential extension which allows for you to measure the height and width of an object on the screen. Using Screen Ruler, software testers can find out defects in the UI. Also, this helps to create a web application with an appropriate number of pixels. 2. WHAT FONT: Cosmetic issues like font size, style, and color are also to be verified by the software testers. WhatFont enables the software testers to easily identify a particular text on a web page. All you have to do is select the font about which you want to gather information. 3. COLOR ZILLA: It is similar to WhatFont but the only difference is that it identifies colors instead of texts and fonts. The extension comes in handy when you want to match the color scheme of a web page to meet the design specifications. 4. SPELL CHECKER: What this extension does is pretty clear from the name. It corrects spelling mistakes on the web page. It is able to check spellings of 12 different languages. The best part is that you can add your own words to the Spell Checker dictionary. 5. Grammarly: It is one of the best and most popular Chrome extensions. Not only it corrects spelling mistakes but also rectifies grammatical errors. The checking is done instantaneously and is free for download. This is a must-have extension for all those who are into e-mails, blogging, editing, and proofreading. 6. IE TAB: IE here stands for internet explorer. This Chrome extension allows you to test the compatibility of your web page with all versions of Internet Explorer. All this is done on the Chrome browser. 7. PERFECT PIXEL: If you want that the design on the web page is a replica of some other page, this chrome extension will get the job done for you. Pixel comparison with other pages is possible with this Chrome extension. 8. SESSION MANAGER: Software testers are required to open the same website links and URL’s multiple times in a day. With Session Manager, the tester can create a group of websites that they open together every so often. Session Manager allows the tester to open and close that group of websites with one click. Also, you can save, delete, restore, and update the group. 9. iMACROS: It does everything that Session Manager does. But apart from that, you can record actions on a particular webpage and review is later. This extension doesn’t have any direct implications in software testing but can improve productivity when you are actually testing software. 10. AXE: This turns the Chrome Browser into a software tester. The extension itself is very light and full of handy features. If aXe supervises the codes that you write on the basis of Web Content Accessibility Guidelines and communicates and mistakes or deviations on the same instant. 11. RESOLUTION TEST: As the name suggests, this extension tests your application on a wide variety of screen resolutions. 12. AWESOME SCREENSHOT: Most of the software testers make use of this Chrome extension to grab screenshots of the test as evidence. Testers can also grab the screenshot of a particular region on the screen, annotate, highlight and crop it. The screenshot can be easily shared with other testers or you can just save it to your desktop. 13. WEB DEVELOPER: This extension was initially introduced for Firefox. The functionality on the Firefox version was limited but the Web Developer Chrome Extension came with a bunch of useful features. It allows you to manage cookies, anchor information, control browser cache, populate forms inspect web elements, highlight web elements, and so on. All these features come in pretty handy during software testing. 14. FIREBUG LITE: This Chrome extension works in conjunction with Chrome developer tools. Its main job is to cast visuals of DOM elements, HTML elements etc. All the inspection takes place with a single click. 15. SCREENCASTIFY: This is another screen recorder. 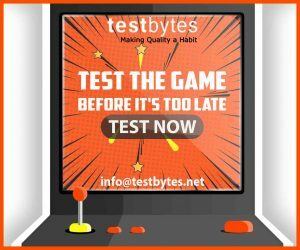 It records all the activities on the web page in the form of a video which you can view at a later point in time or you can just share it with the developers as evidence that you conducted the test. The recording is fairly simple; hit record and leave the rest to Screencastify. 16. COOKIE EDITOR: This extension does exactly what its name suggests. You can edit, protect, add, and delete cookies. Exporting cookies in JSON format is ever so easy with Cookie Editor. 17. CLEAR CACHE: You can simply set the extension to clear app cache, file systems, local storage, passwords, downloads, form data, browsing history and so on. Clear Cache avoids the need to manually clear the cache every time during testing. 18. CACHE KILLER: Cache Killer is an extension of Clear Cache. It clears the cache whenever you load a new web page. You can toggle on or off Cache Killer with a single click. 19. GHOSTERY: Network outages have become pretty common nowadays. Ghostery deals with this problem really nicely. It shows the behavior of an application when the network is down. You can see different trackers present on a web page and also you can disable or enable a particular tracker. 20. EXPLORATORY TESTING CHROME EXTENSION: Having is extension is a boon for exploratory testers as it makes their job a lot more easy and convenient. Just take the screenshot of a particular session and annotate different part of it with ideas, questions, and notes. 21. PROXY SWITCHYSHARP: As the name suggests, this Chrome extension enables you to switch between different proxies in a quick and efficient manner. This is a must-have extension for those who have to move back and forth between proxies quite often. It allows for you to change/hide the IP address which has huge implications during penetration testing. 22. JSON VIEW: It is very difficult to understand JSON data when testing RESTful API’s. This Chrome extension represents the JSON data in a simple tree view which is readable. 23. WEB DEVELOPER FORM FILLER: Fill all the fields in a form using just a single key. This saves time when filling redundant forms and is a great tool for those into exploratory testing. 24. BUG MAGNET: This is another very handy tool for exploratory testers. It stores all the names, postcodes, e-mails etc. to fill in the forms with a single click. 25. WAVE EVALUATION TOOL: WCAG guidelines have been set so that all web pages are designed according to the guidelines. Wave Evaluation Tool makes sure that a particular web page follows the WCAG guidelines. This is perhaps the best tool for accessibility testing. 26. ACCESSIBILITY DEVELOPER TOOLS: This is an extension of the Wave Evaluation Tool. When you run the extension, it generates a list of all the violations of the WCAG guidelines. 27. D3CODER: One of the best tools for penetration testing is D3coder. It allows for you to encode and decode UNIX timestamp, rot13, CRC32 hashing, and base 64.